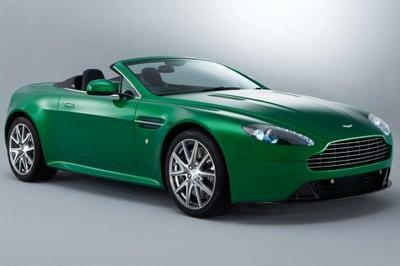 As expected, Aston Martin brought its latest iteration of the Vantage to the 2011 Geneva Motor Show. Aston has been designing rolling works of art for a very long time and has recently retaken a stance as a racing power as well. The company’s GT4 racecar won its class in two of the most important races of the year, Nurburgring 24 and Spa 24 hours, and have begun fusing racecar technology into the road cars with more fervor than ever before. The top-of-the-line V12 Vantage has the motor from the larger DB9 shoehorned into its engine compartment, making it a true hot rod. That formula may work for some, but others were seeing a lapse between the V12 model and the base V8. At the beginning of Summer 2011, Aston Martin will introduce the V8 Vantage S, hoping to squeeze some more profit out of its best selling model line and please enthusiasts at the same time. Increases in engine performance, transmission, chassis, and aerodynamics will all further the appeal of an iconic sports car. 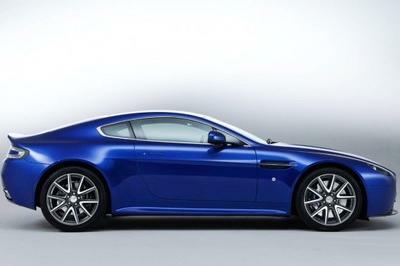 UPDATE 03/11/2011: Aston Martin has revealed an amazing video of the V8 Vantage S showing the car in action. Just listen to the music of that engine! Video after the jump. Hit the jump for more details on the 2011 Aston Martin Vantage S.
Aston Martin will offer this car in coupe and roadster versions complete with V12 Vantage styling. The Car will use a Horizontal splitter under the lower front grill in order to increase airflow under the car. A new lower front air dam and bumper set up built from carbon fiber creates a more aggressive look than ever for the front end of the Aston. This piece is functional as well, allowing more air to cool the new 6-piston front brakes. In front of the brakes sit 19-inch v-spoke wheels or optional 10 spoke models that are even more lightweight. Further increasing grip is the width of the rear wheels on the Vantage S – 10mm in extra rubber should provide improved grip in the slalom and for acceleration. At the rear of the car is a more pronounced deck lid, which Aston claims will reduce lift at high speeds. The carbon fiber rear diffuser will also help airflow from underneath the car. These features may be functional, but they also help to distinguish this new model from the base version in an already tight model lineup. The sporting feel increases further if the driver presses the sport button allowing the exhaust bypass valves to open fully and let out a strong V8 rumble. 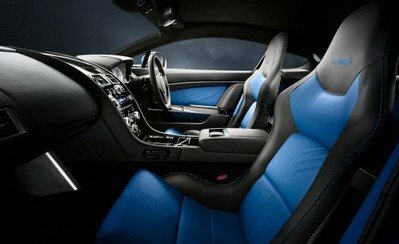 The interior of the Aston will remain largely the same as the other models in the line, which is really not a problem. It is one of the most exquisite handcrafted cabins in the industry with an impeccable level of fit and finish. Once you have entered the cabin through the upswing doors you are greeted by hand stitched leather seats, aluminum face gauges and dash, and a host of electronic wizardry. The optional 1,000 watt Bang and Olufsen stereo system remains one of the most favorable options if listening to the harmonious engine note is not enough entertainment. Interior appointments are rounded out by embroidered "Vantage S" logos in the carpets and headrests. 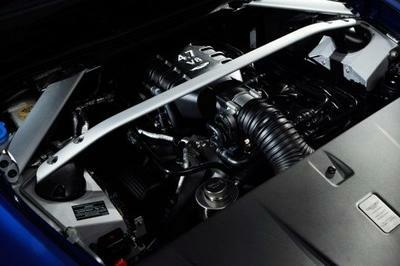 Aston Martin builds each of its V8 engines at their facility in Cologne, Germany. The V8 found in the new Vantage S will be tweaked to produce 430 hp at 7,300rpm and 361 lb-ft of torque at 5,000rpm. 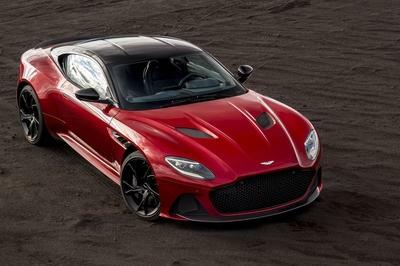 This is equal to an increase of 10 hp and 15 lb-ft of torque over the base model, which may not seem like much, but take into consideration that the Vantage S will also weigh 66 pounds less than the other models. Aston Martin wanted this car to be driver-focused with a more involving character overall. 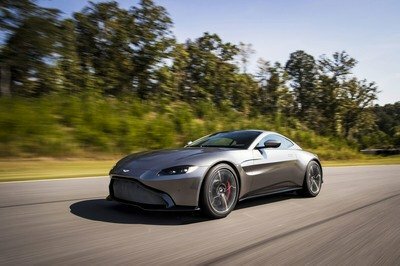 The standard Vantage features a 6-speed sport shift transmission that is more than capable of performing well in the car, but Aston engineers wanted more. In order to get closed gear ratios and a shorter final drive, they outsourced the new Vantage transmission to Graziano for their single-clutch 7-speed that will complete shifts 20 percent faster than the outgoing model. Utilizing a carbon fiber driveshaft and other performance components, the Vantage S will have weight distribution of 49/51. An old school 6-speed manual will not be available on the Vantage S and owners will have to settle for the base V8 or the V12 model to get that. Lower final drive ratio (4.182:1) which should give the seven-speed some more oomph. Completely new spring and dampers in the suspension. Revised steering ratio to 15:1, the previous car used a 17:1 ratio which is not quite as fast as this model. It should provide a better response with less driver input. Hydraulic Brake Assist (HBA) this system helps to provide extra braking input when the car is under emergency or panic braking situations. Hill Start Assist (HSA) this system is employed when the car is going up-hill from a stop. It allows the car to remain planted instead of rolling backwards while the gear is selected. To increase performance they have also been able to tune the suspension and stability control. 3-different settings can be engaged based on what type of driving is being done, helping the driver to focus the cars abilities. Most of these systems will allow for greater variability in wheel slip and sliding, but most still have an array of abs or stability programs that will intervene at the first sign of trouble. For the lucky new Aston owner, there is a full-off switch for these systems allowing for unadulterated fun around the track. Aston Martin has been promoting this car rather heavily and most of the details have been known for a long time. It is good to see that the car will be entering production , but many enthusiasts feel that a 10hp increase doesn’t really call for a new product designation. Nonetheless, it seems as though the V8 Vantage will finally live up to its potential and be a real force in the sports car world once again. 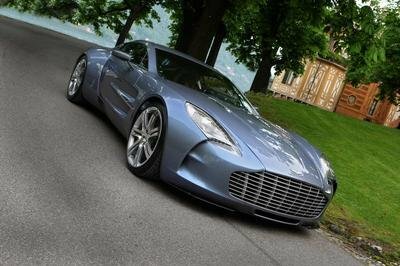 Aston Martin has also been hinting at a completely new model that remains unseen and will do so until the show as well. The price jump to this new model is reasonable beginning at $139,615 and 152,615 for the coupe and roadster, respectively. The automotive press has not tested the car and therefore it is hard to compare this new model to anything else based on numbers. However, the Aston will be amongst similar offerings from Porsche, Jaguar, Maserati, and Audi. The engine and body style of the Maserati GranTurismo are possibly the most similar to the Vantage S. The GranTurismo uses a 4.2-liter V8 with a similar compression ratio to the Aston in order to make 405hp at 7,100 rpm. However, the GranTurismo is more of a touring car and less driver focused than this latest Aston Martin. The Porsche GTS line may be the most compelling comparison considering that it bridges the gap for Porsche between the base models and Turbos. Improved exterior bodywork, tweaked engines, and slight handling improvements make the GTS line a success while keeping the price down from an all out Turbo model. The Carrera GTS produces 408 hp at 7300rpm and 310 lb-ft at 4200rpm. This power increase in conjunction with the sport chrono package can get the Carrera GTS to 60mph in 4.2 seconds and will top out at 188mph. We’ll have to wait and see if the same formula can work from Aston Martin and its new V8 Vantage S, but on paper they look prime for a road test comparison. Why not go for the V12? This V8 vantage S is one of the most beautiful sports sedans that I saw! It maybe has a simple style and detailing, but it still looks great and sophisticated on it. Moreover, I’m really glad that it has an efficient engine. It still looks very elegant in any color! Well, it’s so nice that they also use a very impressive and powerful engine on this, which is really fun to drive with because on that speed performance. Why is it only on a V8 engine and not on V12? 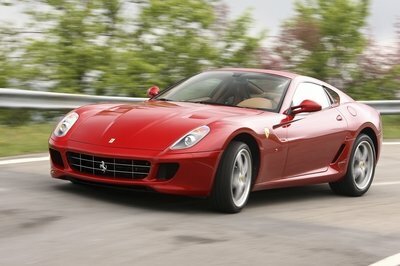 Well, V8 engine could also give a nice speed on it but not as powerful as V12 engine would give. Anyway, as what I’ve expected with its exterior appearance, very attractive. Well, I’m glad that they already decreased the weight of this Vantage. However, I noticed that it’s kind of impressive, and I wonder why? Anyway, I love the design on its headlight, so cool! So the rumored is true, that Aston Martin Vantage S is really looking great than Porsche and Jaguar vehicle and that is truly impressive! However, I still didn’t find it too powerful on its engine. 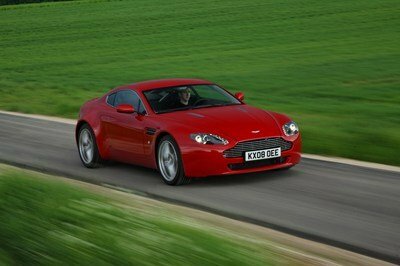 V8 Vantage is totally a complete packaged for a sports car! No doubt, if why car lovers would love to have this one because on the fact that it is not more a good-looking cat but also a super vehicle! 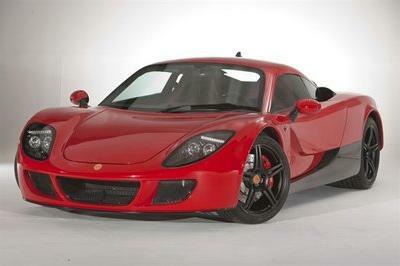 Although it is only on a V8 engine, I’m pretty sure that it could still beat its competitor! Well, the fact that they decreased the weight of this vehicle, it doesn’t need to be in the V12, as what others wish. Sorry to say but I didn’t see this one as an aggressive car, but no worries because this one is truly so awesome not on its aggressiveness but instead on its simple and sweet appearance. It was really no doubt, that this Vantage S is truly a good-looking car that can surely get lots of attention. However, I think it is much better if they go on the V12 engine than V8. This Vantage S is absolutely looks very promising at its awesome exterior appearance, and I noticed that the body paint options on it is all looking so great at it, and the handcrafted seat of this one seems nice as well. This one is definitely looking great on its body paint, and I noticed that in spite of having only a simple design, it was still oozing with angst, and I love the aggressiveness of this one. Aston Martin is absolutely very striking and awesome on that looks and I’m also glad that aside from having a good-looks, it also had an impressive engine. Anyway, I love its sleek body paint. Awesome, truly a deluxe and futuristic car. With a glance you could notice it, how much more when you find out how developed this car. This surely be a best selling model car. No doubt about it. I love the sporty but elegant appearance of this Vantage S. It sounds so good to know that they decreased the weight of this one, and I also noticed that it’s kind of too pricey! Every time I look with Aston Martin V8 it reminds me how vantage car made for its perfectly glass cool and unique textures. That’s made me feel so lucky of having this one?. Just a take a little bit closer of the new Aston martin Vantage the interior design well made handcrafted, And able to reduced in a high speed performance. Wow! This probably the best vintage car i ever seen all worthy enough for your budget. No wonder it has a capacity to perform in a very impressive performance. 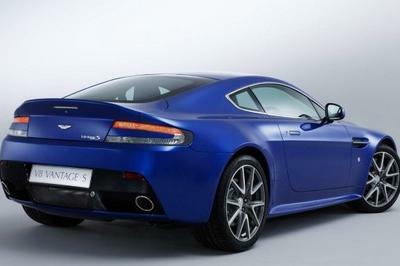 The Vantage S does look rather promising. But there are still some issues that needs to be sorted out here, like the weight and the output of the engine. I must admit that I am at first unsure whether the Vantage S is really going to be spectacular. But this video definitely made me think otherwise. If they really want to compete against its rival, Aston needs to lose some weight to increase its power and speed. However, visually it look so nice.